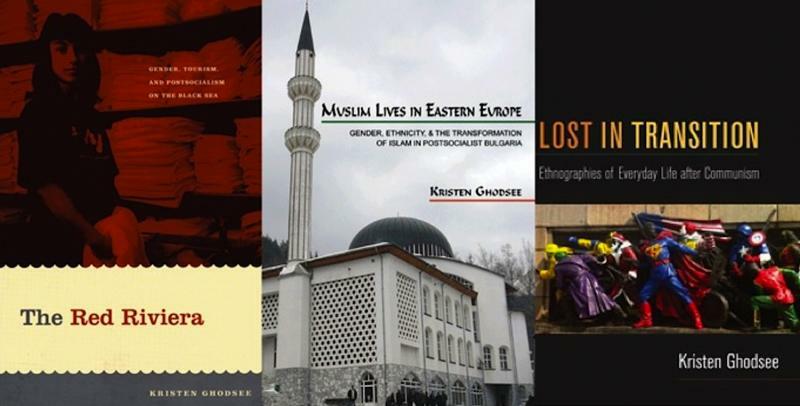 Kristen R. Ghodsee is an ethnographer and a professor of gender and women’s studies at Bowdoin College. I joined a Model United Nations (MUN) club in middle school, and I was very involved with MUN in high school. MUN is a live action role-playing debate club where students pretend to be representatives of the countries at the real United Nations. If you are a dedicated MUNer, your greatest dream is playing a veto-empowered country on the Security Council: The US, France, the UK, USSR, or China. I was one of the few girls in my club, and I knew that the boys all wanted to be one of the Western “good guys.” No one wanted to be China because China abstained on everything. So I knew my best chance at winning a gavel (the highest award) was to profile myself to represent the countries of the Eastern Bloc. I became our MUN club’s expert on the communist countries, and whenever we got an East European country in our school’s allotment, it was given to me. I first represented Bulgaria on the Security Council in 1986, and a year later got to play the Soviet Union. I spent weeks in preparation for those conferences, and my fascination for Slavic Studies initially grew out of all of that research. Well, obviously I am not doing Model United Nations anymore. I think back then (the final years of the Cold War), I was much more interested in International Relations and high politics. After spending so much time in Eastern Europe, however, I am now interested in the way that international relations and high politics impact everyday life. As an ethnographer, I am fascinated by the stories of ordinary people who lived under communism and have weathered the last 25 years of transition, as well as how East European history and historiography inform contemporary politics. I have a couple of ongoing research projects, the biggest of which is tracing the lingering effects of Bulgarian state socialist women’s activism on the development of African women’s movements in the 1970s and 1980s (see research trailer). I also have a new book coming out in 2015: The Left Side of History: World War II and the Unfulfilled Promise of Communism in Eastern Europe. In this book, I tell the stories of partisans fighting behind the lines in Nazi allied Bulgaria during World War II, specifically the British officer Frank Thompson (brother of the great historian E.P. Thompson), and fourteen-year-old Elena Lagadinova, the youngest female member of the armed anti-fascist resistance. Thompson and Lagadinova were not merely anti-fascists, however, they were pro-communist, idealists moved by their socialist principles to fight and sometimes die for a cause they believed to be right. Of course, victory in World War II brought forty years of communist dictatorship which was followed by unbridled capitalism after 1989, and today in democratic Eastern Europe there is ever-increasing despair, disenchantment with the postcommunist present, and growing nostalgia for the communist past. These phenomena are difficult to understand in the West, where “communism” is a dirty word that is quickly equated with Stalin and Soviet labor camps. By starting with the stories of people like Thompson and Lagadinova, I am trying to provide a more nuanced understanding of how communist ideals could inspire ordinary people to make extraordinary sacrifices. I have been a member of ASEEES (formerly AAASS) since I was a graduate student back in the 1990s. The professional development opportunities were invaluable. Where else could I go and find people actually interested in Bulgaria? As I have matured in the profession, I find the annual ASEEES meetings an excellent way to stay on top of the emerging scholarship in the field (although sadly the meetings often conflict with the annual meetings of the American Anthropological Association). Slavic Review and NewsNet have also been important resources for me. I think one of the first articles I ever published as a graduate student was in NewsNet, and I have a new article going out in Slavic Review this fall. I am a total comic book and sci-fi nerd, and I blog about ethnography and writing over on Tumblr. I love popcorn and basset hounds.